Inventory management is a tricky task for many retailers. On the one hand, you need to have a great selection and enough stock to satisfy your customers. At the same time, though, carrying too many items could lead to surplus inventory that you’re going have to liquidate. So, how you do find the best balance? How do you determine the right products and quantities to stock? To shed light on that, we caught up with Alan Grant, the owner of MyDIY.ie, a store that sells a wide range of improvement products. The business has seen 30% year on year growth, and Alan attributes their performance to smart inventory management, as well as a great loyalty program. Check out what he has to say below. Consider expanding your range of product choice without necessarily stocking up on higher quantities of each item. 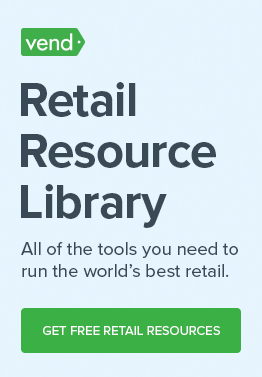 Need insights on what types of brands or items to stock up on? Pay attention to what customers are looking for in-store. If they’re asking about items that you don’t have in stock, consider adding them to your inventory. If you have an online store, look at your customer search logs to identify potential brands or products that you can include in your selection. Alan added that they have a loyalty program in which customers typically get 5% in loyalty dollars for every purchase. But when it comes to items they want to get rid of or liquidate, Alan says they offer double or triple the amount of loyalty. According to him, they mark those products clearly on the shelves, so shoppers know that they get additional loyalty dollars for those specific items. This enables them to sell those slow-moving products without implementing steep discounts. And since shoppers earn loyalty dollars, those customers are encouraged to come back and buy even more. Need to unload lingering stock? Use your loyalty program to do it. Add more loyalty incentives for purchasing slow-moving items. For example, offer double or triple points for those purchases. 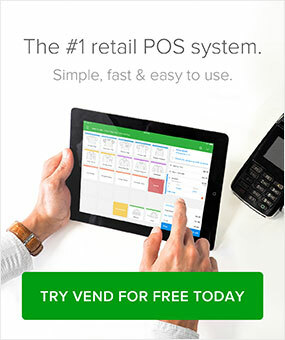 Are you a Vend customer? Learn how Loyalty works and how you can set up the feature in your store. If there’s one thing we can learn from MyDIY, it’s that you can’t stay on top of your inventory levels if you don’t align strategy with your customers’ needs and buying habits. Having the right products in the right quantities requires knowing what your customers are after. What are they buying from you? What are they looking for but haven’t found in your store? Find the answers to these questions and then stock up accordingly. And if you do end up overstocking on specific items, you again have to align yourself with the customer and come with ways to entice them to buy. Alan and his team have executed these things really well, and that’s why they’re so successful. Take a leaf out of their playbook and apply these strategies in your business. How do you inform customers of the double or triple point items? Do you use special signing? Another idea is to send out an email blast to your customers telling them about the increased rewards. Full of Information Content. Best tips for Inventory Management but now days Organization used the Inventory Management Software for handling the inventory..